Crunchy ring-shaped cracker with the bite of chili peppers, this taralli is irresistible. These taralli are made in Italy of fine 00 flour, extra virgin olive oil, white wine, chili pepper, salt, and pepper. 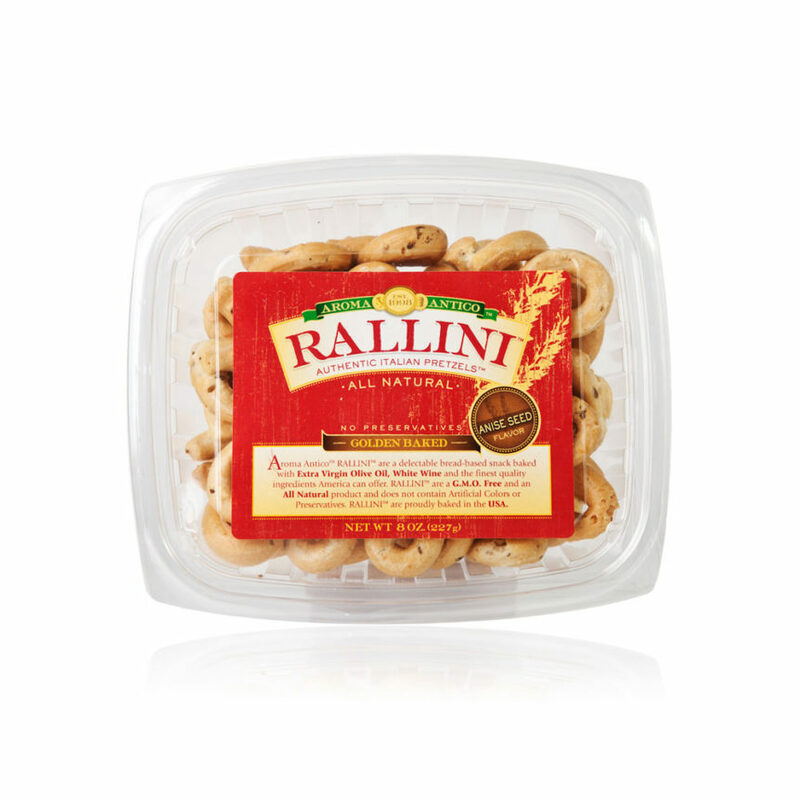 Crunchy crackers flavored with fennel are great for snacking or with an antipasto selection. Taralli are a signature product of Apulia where the little crackers are formed, boiled, and then baked to crispness. 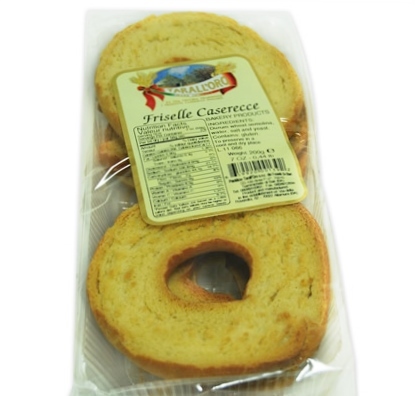 This product is Friselle imported from Altamura, Bari.The product is in a 350 gram bag.